The Winter holiday season, while being one of the happiest times of the year for so many, especially children, and adults who take the meaning of Christmas to a whole new “Clark Griswald” level of Christmas, can also be some of the most difficult times for many. And I am one of those. In spite of what I had hoped for a turnaround with my “holiday attitude” once my daughters came into my life, my feelings around this time of year continue to struggle. This is not to say that my holidays have been a complete failure at all. It just means that I have a difficulty celebrating it either so early, or so extravagantly as many do. But once the big day is here, I get through the day, with excitement thanks once again to my children, and then I go back to reality. It has been this way now for nearly 40 years. That’s right, I cannot even blame it on my cancer, which coincidently I was diagnosed with just before the Thanksgiving holiday twenty six years ago. I cannot remember the last incident free holiday season going all the way back to 1976, on my 9th birthday this month, when my house caught fire from an errant spark of a match lighting my birthday candles. From that point on, I dealt with one holiday death of a family member each year, or some other struggle, which took on a whole new meaning once I was diagnosed with cancer in 1988. But as I said, I am not a total Scrooge or Grinch for the holiday. I do have fond memories of Christmases gone by. One memory that will always come first in my heart belongs to my oldest daughter, Madison. 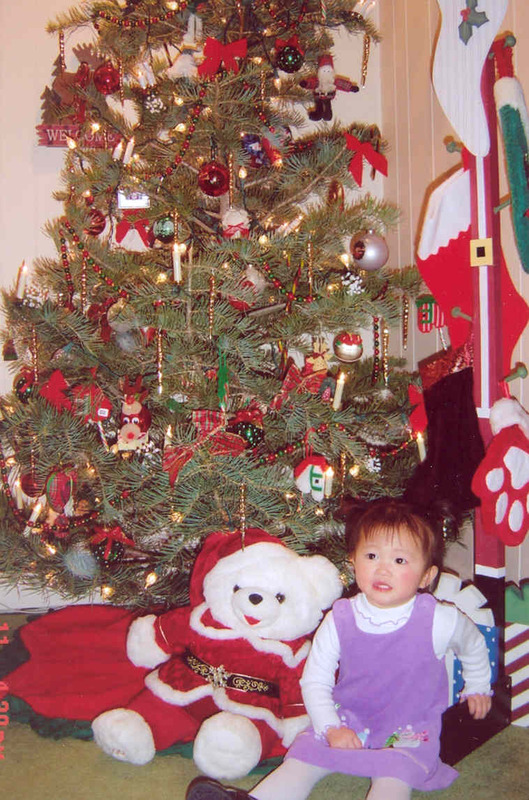 It was Madison’s first Christmas with us and it was going to be one that even at her age, she would appreciate the magic of Christmas and Santa Claus. And I would do my best to make sure that it would be a very special Christmas for her. Yes, I did what many other Dads did for their children did and dressed up like Santa Claus. But clearly, after insisting that she get some sleep, and not wait up for Santa, I had to have some sort of proof to her, besides the presents, that the big guy was in fact inside of our house. And so, after we put Madison to bed, I went to work. 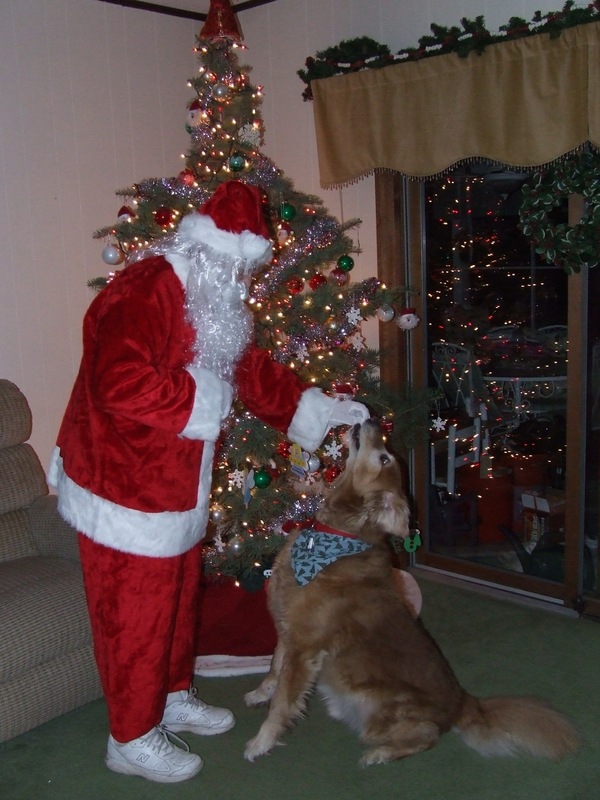 I put on nearly the entire outfit, red suit, beard, hat and then had my wife (at that time), take pictures and video of me, dressed as Santa, delivering gifts under the tree, eating the yummy treats that were left for me, and even stopped to have a little playtime with a dog who was always on Santa’s “nice” list. My final stop, was into Madison’s room, to place one small gift under her personal tree (the amount of Christmas trees in my house is another post). All of this was caught on film. All I had to do is wait for the next morning for one excited little girl to find all the gifts left for her. She wasted no time. Of course I allowed her to open all of her gifts first before revealing that it was Santa who brought her the presents. She was not disappointed. Dad: Hey Maddy, you know Santa Claus was here last night right? Madison: Yes Daddy (very excited). Dad: Well, I had the camera set up to take pictures and video to see if we could catch him bringing your gifts. Madison was very excited at that point and could not wait to see that Santa was indeed in her house. Her smile stretched from one ear to the other as she watched the video of Santa putting the presents under the tree, eating the cookies and drinking the milk, and playing with our golden retriever Pollo.The still shots, like the one shown above, showed Santa in various positions inside the house as well. Madison: Daddy, why does “ho ho” (her name for Santa) have your sneakers on? Yep. I said I put “almost” all of the costume on. I did not realize my camera person was going to focus on my shoes as well, so I did not put the black boot overlays on which would have hid my sneakers. But the bigger point was this, from that point on, we realized just how attentive to details our daughter was. 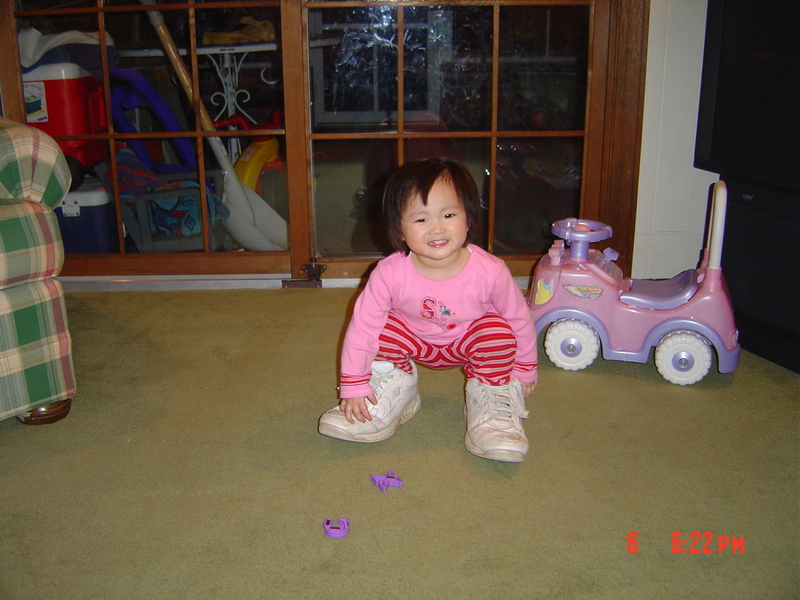 You see, Madison, like many other small children, love to walk in their parents’ shoes, men’s or women’s. Yep. She loved wearing mine. And I took it for granted that a little girl, just because she was excited about seeing the big man in red, would not notice his surroundings. Dad: Well Madison, his boots must have been really dirty from climbing down the chimney and he didn’t want to make our carpets dirty. He saw my sneakers, and must have put them on while he was in the house. In ice hockey, we would call that one “an off-the-goal-post save”. We still did the same routine every year after for a few more years, but those times, the camera was kept from the waist up. As for Madison? She still has those eagle eye skills for detail, and even just when she is on the cusp of not believing in Santa any more, she still holds on for one more year.